With over 25 years of experience in manufacturing optics and having played a part in the production of over half a million pairs of glasses supplied direct to opticians, I felt it was time for a change. Having spent the last 12 years as the Production Director of a successful lab that provided opticians with the end product, I was well aware that there was a massive disparity in the actual cost of the frames and lenses and what spectacle wearers had to pay for them on the high street. Armed with this knowledge I had, for a long time, felt there was a gap in the market for a more realistically priced place to buy glasses. 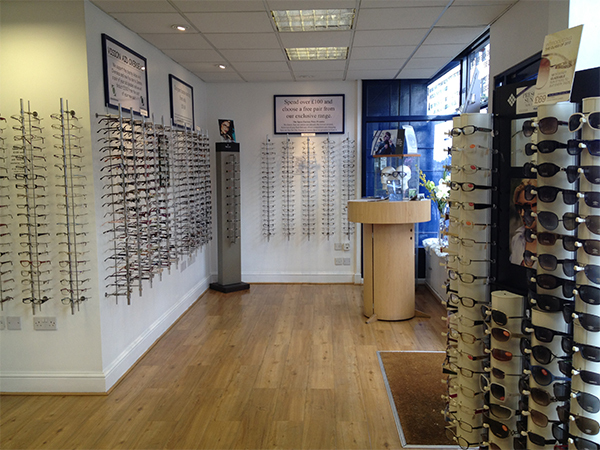 You can have your eyes tested here, or bring your current prescription with you. We will then help and advise you on selecting a pair of glasses that cater to your needs and that are just right for you. All of this can be provided at a fraction of the usual cost because I am the man that actually makes the glasses! Through the contacts I have made in the optical profession, I am able to offer an extensive range of premium quality and designer products at heavily discounted prices without ever having to compromise on quality and standards. So from standard reading or distance glasses on a budget, to bespoke, state of the art varifocals, designer frames and sunglasses, make sure you pay us a visit at The Specs Factory Outlet before you even consider parting with your hard earned cash anywhere else! Click here to see why else you should pay us a visit.